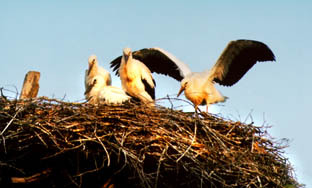 The stork is called a sacred bird in Latvia. the scientists call it a bird of prey, and say that it has settled in the territory of Latvia only during the past two hundred years. 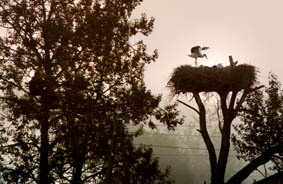 Every year about 10,000 storks come to nest in Latvia from warmer climates. In the film, we can observe the lives of some of these beautiful birds from mating calls to rearing offspring to leaving the nest and taking flight. The life of the birds follows its own rhythms and humans have no say in but nevertheless they try to build their nests as close as possible to people’s houses. We do not know why the birds act like this but they bring good tidings to people.